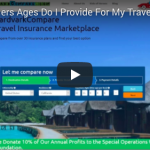 Will Health & Home Insurance Be Enough When I Travel? 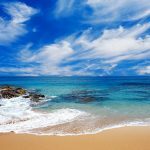 A question that is asked by many of our customers – Will Health & Home Insurance Be Enough When I Travel? Health and home insurance policies may sometimes cover a few very basic benefits for travel. But they often don’t go far enough to be of any real value. That probably comes as a surprise to many travelers, who make assumptions about being covered while traveling. If you care about cover while you’re jet-setting the world or slugging to the hinterlands for business, you’ll want to know the following. It tells you why your existing health insurance plus your home insurance policies probably won’t be enough to cover you for all that can happen while on the road. Here’s why your health insurance will probably let you down if you travel. It’s hard enough to know whether health insurance policies will cover you for basic procedures at home, much less when you’re away from home. Read your policy carefully to find out whether the benefits and deductibles are acceptable to you when you use out-of-network doctors. Even if you have a great health insurance policy, those wonderful benefits you’re paying for might not apply when you’re traveling out of network. Using out-of-network doctors is one sticking point in most health insurance plans, but using foreign doctors is even more of an issue. If you’re on Medicaid, forget about it… you’re not covered abroad. Travel insurance, on the other hand, will pay for a doctor no matter where you find yourself needing one around the globe. You could fall and injure yourself anywhere from Morocco to Singapore and you’re covered. Homeowners or Renters Insurance only go so far. Many homeowners policies will cover some very basic concerns while you’re traveling. But they fall short of providing cover that you probably want. For example, if your luggage is lost, some travel insurance policies will help you track it down. They’ll even cover buying a basic vacation wardrobe to keep you covered and decent while your own luggage is retrieved. Homeowners policies usually won’t touch that situation. For travelers, there’s a huge gap in what homeowners and medical insurance policies cover. Without travel insurance, you’ll be on your own if you need to see a foreign doctor or if your luggage goes MIA. But those aren’t the only reasons trip insurance is important. If your trip gets delayed or canceled you’ll find that your homeowner policy is completely irrelevant in that situation. If you have an emergency while on the road, travel insurance plans have your back. Imagine you’re about to embark on a vacation and an immediate family member becomes seriously ill. You can’t go. 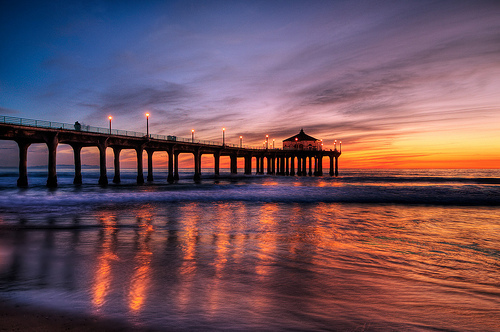 A travel insurance policy will cover that scenario and more that are like it. This also applies to death, illness or injury of immediate family members during your trip. Trips that get interrupted for these reasons are also covered. Again, homeowners or renters policies won’t touch that with a 10-foot pole. Finally, not all travel insurance policies are alike. 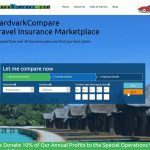 It’s important to compare trip insurance options so you end up with the right policy for you. 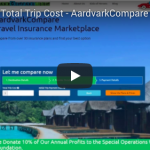 At AardvarkCompare we offer policies from many of the largest travel providers, and with dozens of policies to choose from, we’re bound to have the right one for you. 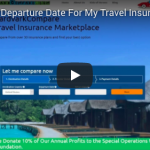 Travel Health Insurance – Do I Really Need It?